SharePoint Architect with over 20 years in the I.T. industry and over 10 years in SharePoint, helping organizations leverage the full value of their investment in both SharePoint on-prem and Office 365. I will review and document your current external sharing settings. 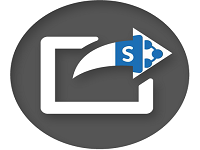 I will then teach you how to setup and configure your SharePoint environment for external sharing so you can use it to securely collaborate with your external vendors, partners etc. I will also provide you with documentation and step-by-step guide on how to securely share with your guests users going forward to keep your environment clean and secure. If you would like my help, please click on the Buy button or otherwise you can contact me using the Contact button and ask me any questions you may have before purchasing.